HG "Sep 11 2014", "18:34:15"
Humans feel comfortable within certain limits defined by thermal and personal factors, but energy systems are often optimized with regard to economical rules. The library contains basic models to estimate the thermal comfort of occupants or a group of occupants within an air-conditioned zone. The comfort results are provided in form of mathematical criteria and graphical visualizations. The HumanComfort Library was initially developed within the research project EUROSYSLIB and has been extended by modeling details like shading, 3D heat conduction for thermal bridges and CO2 emission of occupants. The use of standardized interfaces enables an easy coupling to existing Modelica libraries (e.g. 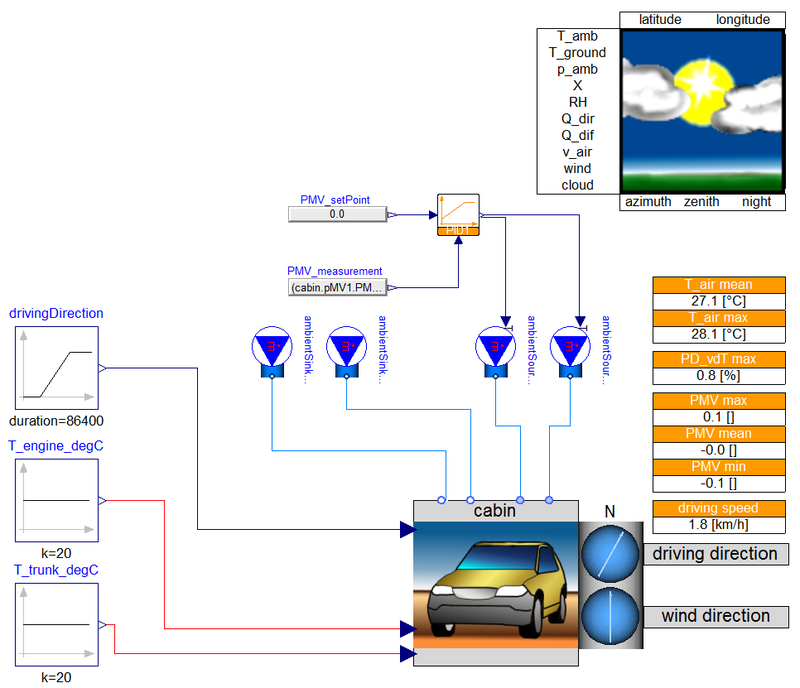 combination of automotive cabin models with AC models using Modelica.Fluid connectors). 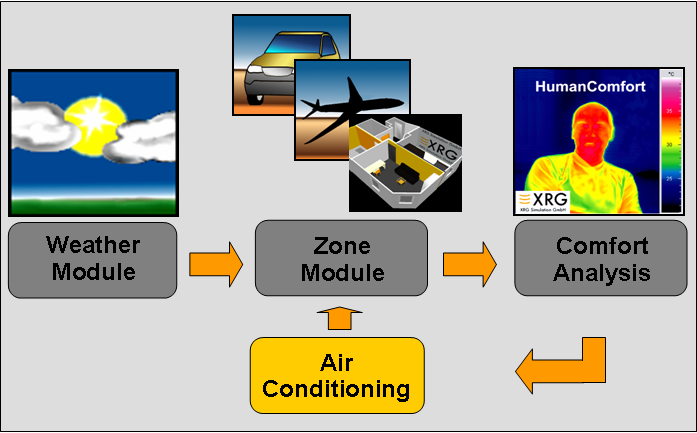 The user may also combine existing building simulation models with the HumanComfort module. Multi-layer walls can be simplified to one capacitive mass without changing parametrization. A new weather model allows changes of latitude and longitude during simulation. This enables long flight or driving scenarios, where solar radiation changes geographically. All parts of an automotive or aircraft zone have a common frame of reference. This allows turning cabins in all directions, dynamically. HumanComfort Library 1.3.2 is available for Dymola.